I can not believe that Halloween is in two days! Not that Halloween is a substantial holiday for me but after Halloween it seems that the rest of the year flies by. 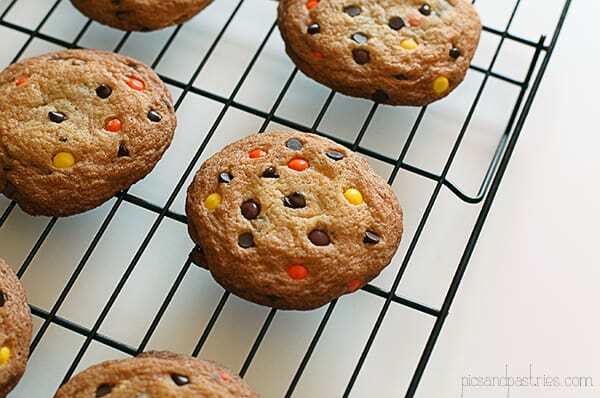 These cookies do not have to be enjoyed only at Halloween but their colors makes them more festive for this fast approaching holiday. These Reese’s Pieces I bought in the baking aisle. I *think* they may be smaller than the ones in the candy aisle. I also used mini chocolate chips, but feel free to use the regular size if that is what you have on hand. 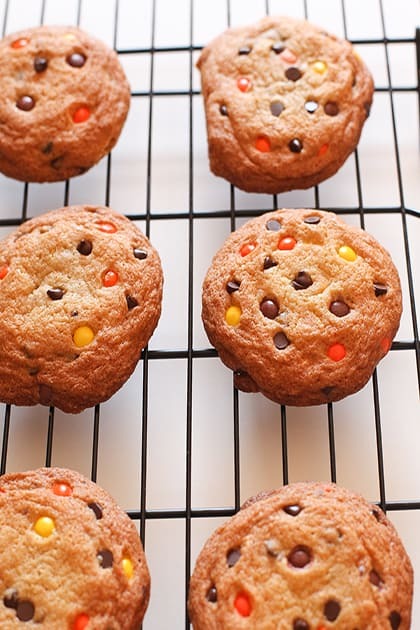 These cookies will be a great snack to eat while handing out the candy to the trick-or-treaters. This will allow you to save the candy for them! Stir the flour with baking soda and salt; set aside. In a large mixing bowl, beat butter with sugar and brown sugar at medium speed until creamy and lightened in color. Gradually blend dry mixture into creamed mixture. Stir in chocolate chips, Reese's pieces and nuts, if using them. 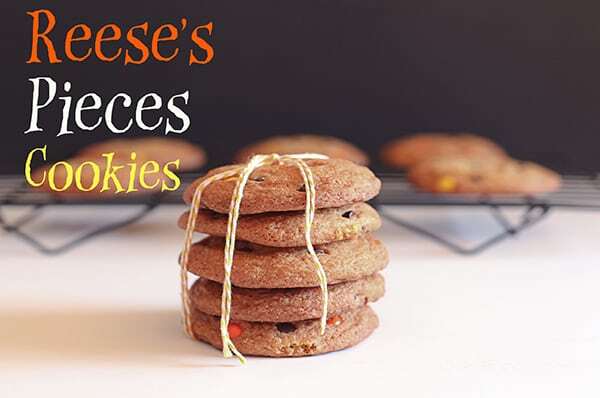 Drop by tablespoon onto a greased cookie sheet or one lined with parchment paper.